Very Rare Bird Sighting – in my back yard! This is a protected salt marsh, normally not accessible to the public. (For those who follow my osprey sightings, it’s within 100 yards of the osprey nest.) 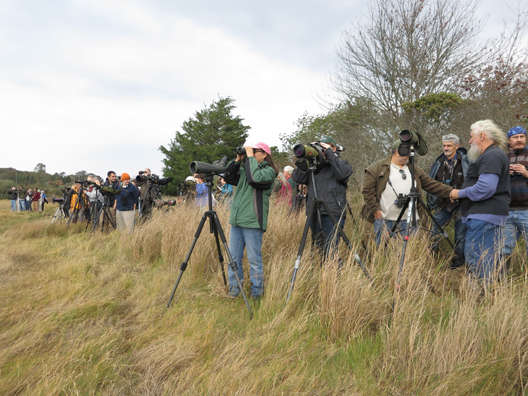 Here are a hundred birders tramping through the marsh trying to photograph the very rare Wood Sandpiper who made an appearance near my home. Reports say this bird has never been seen in the lower 48 states.